I am really happy that now there is also a Cicaplast Repairing Balm made just for lips, it's pocket size -very easy to lose or misplace but perfect for traveling and it works absolutely amazing to protect, repair and maintain soft lips without dry cracks. This lip balm has no smell, no flavor, no color and no parabens. It's formulated with 10 % shea butter, 5 % panthenol and lipides to provide a lasting relief from irritation and dryness. It works really fast, using it overnight gives the softest lips in the morning . Cicaplast Barrier Repairing Lip Balm is a little bit more expensive than a regular lip balm from the drugstore but it also doesn't cost a fortune. It's such an excellent treatment and I think is one of the best lip balms I ever had. The consistency is very thick and heavy but once applied on lips it glides perfect and you don't even feel like you are wearing lip balm, there is no stickiness or oiliness left behind! If you cant find any relief for your dry lips you must try this product! Cicaplast Pro-Recovery silicone gel is in my makeup kit and in my skincare routine for so many years! It's another amazing product to use for flaking, dry and sensitive skin and post cosmetic and dermatological interventions like cosmetic peels for example. This is a perfect skincare product for fragile skin and it will accelerate the reconstruction of your skin barrier. Recently the formula was changed and improved. The new formula combines 5 % Panthenol and La Roche Posay thermal water for immediate relief and soothing with Madecacassoside (extract from Centella Asiatica) + Copper + Zinc +Manganese + Hyaluronic acid to aid epidermal recovery and Glycerin. This product has been tested under dermatological control on skin post stitches, post cosmetic peeling and post -laser. It has the most pleasant texture and an anti bacteria adhesion. It has no smell, is transparent, non sticky, non oily and a easy to apply. Not to be used around the eyes and do not apply directed on wounded skin. 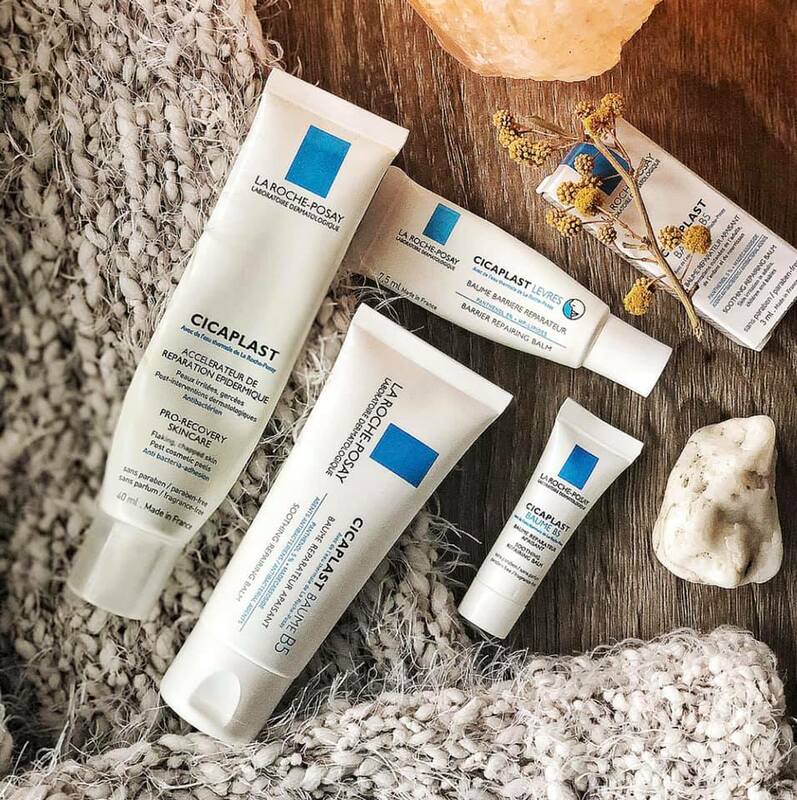 Cicaplast Baume B5 is something new for me, I just got it 2 weeks ago and its a soothing repairing multi-purpose balm with a very different texture than Cicaplast Pro Recovery. This is a soothing balm for dry skin with irritations, very calming and with a light but nourishing texture, non -oily, non sticky and with a matte finish. This balm is lanolin free, paraben free, fragrance free, non-comedogenic and formulated with shea butter, panthenol, glycerin and of course La Roche Posay thermal water. This Cicaplast balm can be applied to body, face and lips. If your skin is painfully dry this balm will help repair and calm it, it will restore the lost moisture without breaking you up or leaving you oily. Its a great product to have around if you are on acne medication, on long flights, during winter, after a peeling or for any type of skin irritations. Cicaplast Baume B5 is suitable not only for adults but for children and babies too because is pediatrician tested and approved - babies 1 week and up. It works amazing for discomfort caused by dry cold weather, very protective and repairing. I love trying new skincare products. I am always on the search for just the right one!! I have never heard of these products before, but they look great. 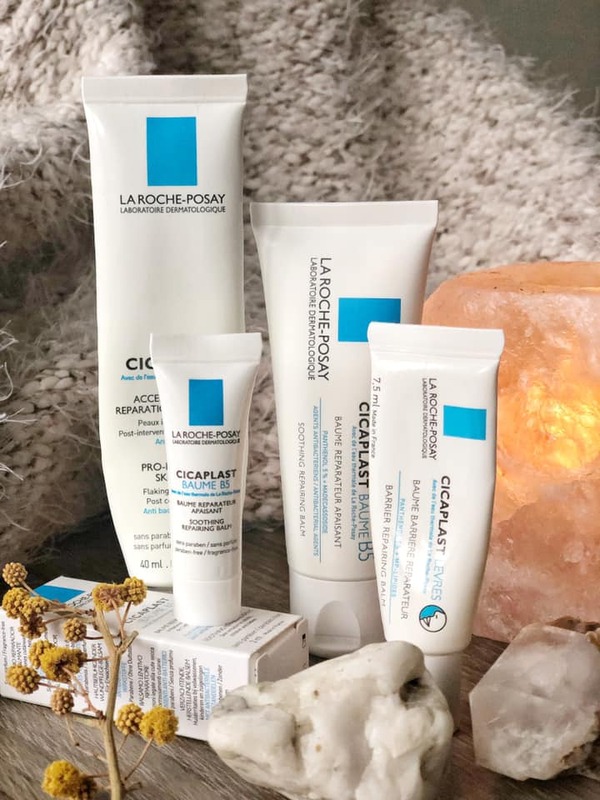 They are French but sold world wide, you can probably find Them at the pharmacy.Dermatologist often recommends them for people with sensitive skin,and like I said they can be used on children and Cicaplast Balm B5 even on babies older than a week. I have crazy dry lips and have generic chap stick stashed all over our house. I might need to try this! Sometimes the chap stick works against you and makes it feel even more dry. I am going to have to try this. I have horribly dry lips and chapstick isn't working this year. I stopped using regular chapstick long time ago, they never worked for me. I am really happy if this review was helpful to you ! I’ve seen this product at French stores before. I got so many samples the last time I went. I’ll javd to check because I forgot all about it. Thanks! Yes they are quite generous with samples!Don"t let the samples go bad,babe !